Srinagar: The Hurriyat Conference (G) has said that the government will not succeed in silencing its chairman Syed Ali Shah Geelani, “just because it managed to extract a few teeth” of the ailing separatist. Doctors at a government hospital in Srinagar extracted two of Geelani’s teeth while he was under house arrest last week. Police said that Geelani was taken to the Government Dental College (GDC) after he complained of severe toothache under house arrest. Hurriyat, however smells a conspiracy. “Police seems to have been very prompt and eager in getting Geelani’s teeth extracted. We want an independent inquiry into whether the teeth extraction was really required or altogether avoidable,” said Akbar. Akbar alleged that government wants to silence the separatist hardliner, and teeth extraction was just a ‘ploy’. “But we want to tell the government that they will not succeed in their imperialistic designs. 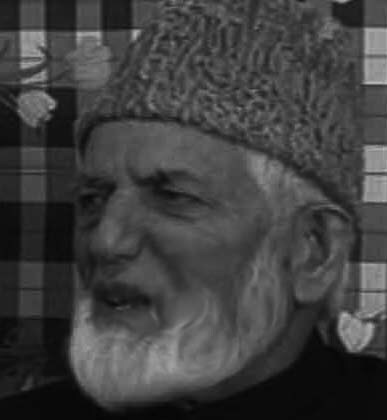 Geelani Sahib may have lost his teeth, but he will not lose his bite,” said Akbar. Seeking custody of Geelani’s extracted teeth, Hurriyat had also condemned the authorities for “callous handling of prized relics”. “These (teeth) are prized relics of Kashmiri nation. But contrary to their routine practice, they have not handed over the teeth to us, despite our requests. This is a clear proof of a conspiracy.” Akbar said. Akbar added that Geelani has not been able to talk properly since his teeth extraction, but the octogenarian leader has penned down a statement. “At the hospital, a doctor injected me, some kind of sedative, as soon after I felt dizzy. When I woke up, I found my mouth gagged and stuffed with cotton, and I was again in a police van.” Geelani’s statement accessed by Dapaan reads. Akbar said, that if government does not return the teeth safely, Hurriyat will launch a statewide agitation.